It’s been a busy month on Planet Sam – the Christmas tree has been up, the heating has been on and the comfort food has been a-cooking! Even after 10 years, I’m still haven’t gotten used to the intensity of Australian summer which I think is why I really appreciate Australian winter. It’s not nearly as savage as the UK winters I used to know, it’s more like anessence of winter without subzero temperatures. That said, winter nights are the bane of my life.The light in our place is truly terrible so I take all my food photos in the day, on the balcony, in all weathers. I’m sure my neighbours must think me very strange! These days, I make dinner in time for lunch just so that I can capture it on camera with the best of the winter sunshine. I know I shouldn’t wish my life away but I am so looking forward to daylight savings! Soup has been my lunchtime staple. This Moroccan Carrot and Lentil Soup is a real box ticker. It’s cheap and easy to make and with it’s slight Moroccan spice, it’s delicious to eat too. 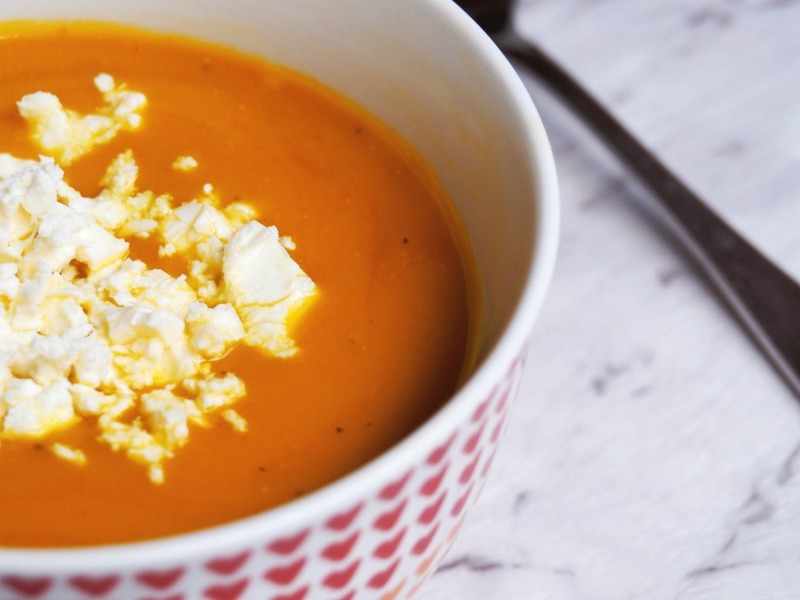 This soup is also dairy free and vegan, although if you’re not vegan or dairy free and want to push the boat out, you can add a sprinkling of feta or a dollop of yoghurt to finish things off! I’m all about the winter warmers but after all my holiday and then birthday excesses, I’m all about the healthy food too. 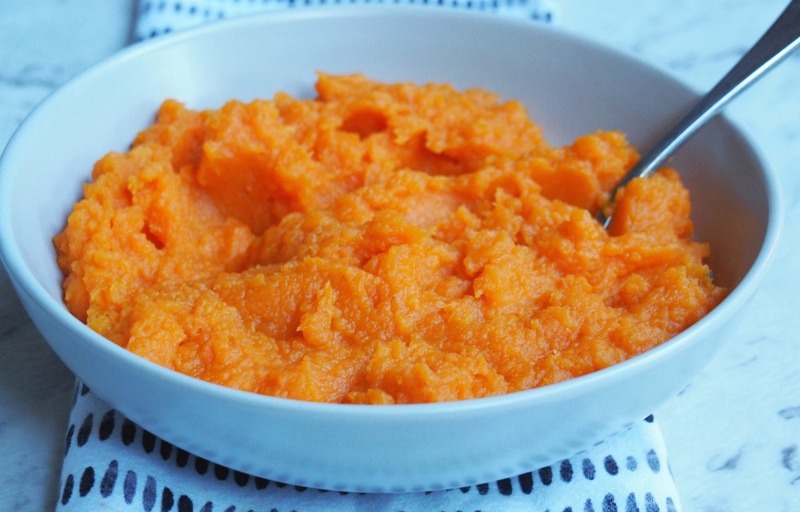 This low GI, low fat, low iodine and dairy free Healthy Sweet Potato and Carrot Mash is a most delicious alternative to regular mash and it brightens up the dinner plate too. 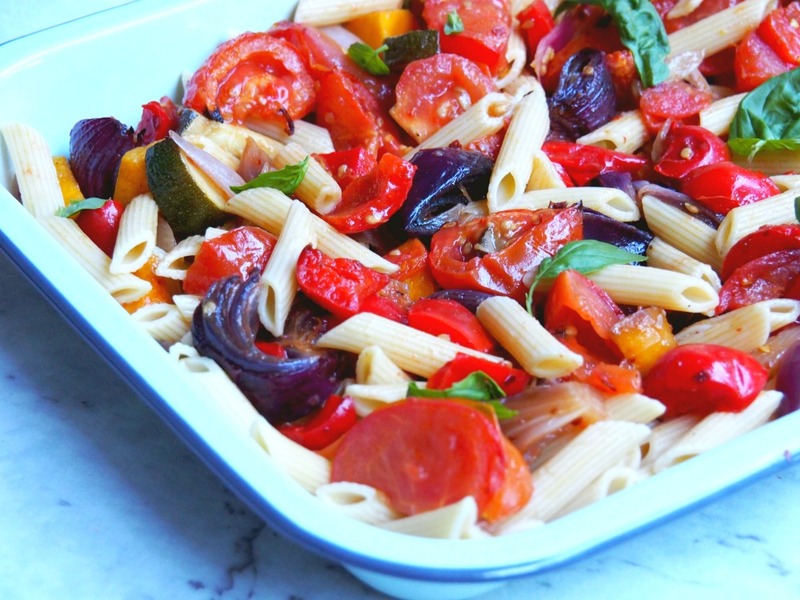 Talking of colourful food, it doesn’t get more colourful than this Mediterranean Veggie Pasta. Roasted vegetables are the hero of this simple pasta dish which is as healthy as it is delicious! I took this to the Asylum Seekers Centre for lunch but loved it so much I made it at home too. My slow cooker has been working overtime this winter! As well as falling in love with new dishes like the Slow Cooker Chicken and Red Wine Casserole with Dumplings, I’ve been whipping up some of our old favourites. 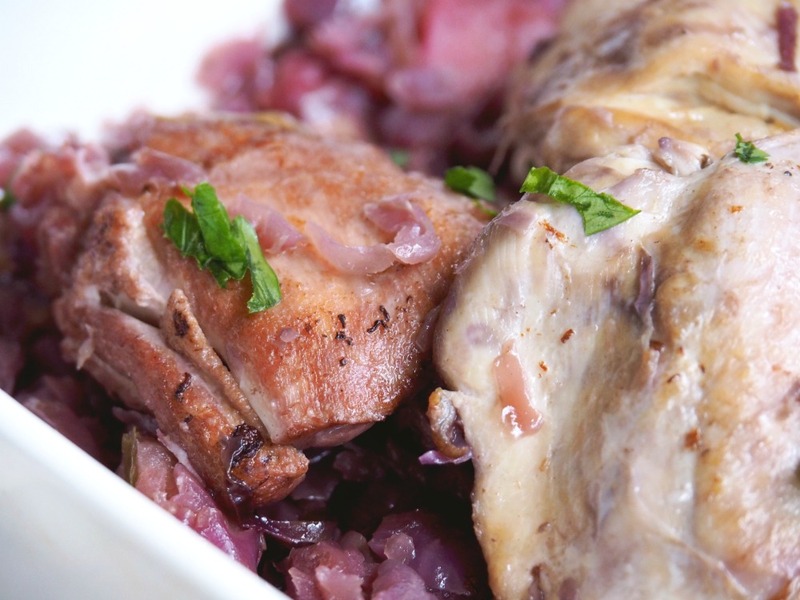 Admittedly, this Slow Cooker Chicken with Red Cabbage looks a bit fugly, but it’s light, healthy and full of flavour. We can’t get enough of it! 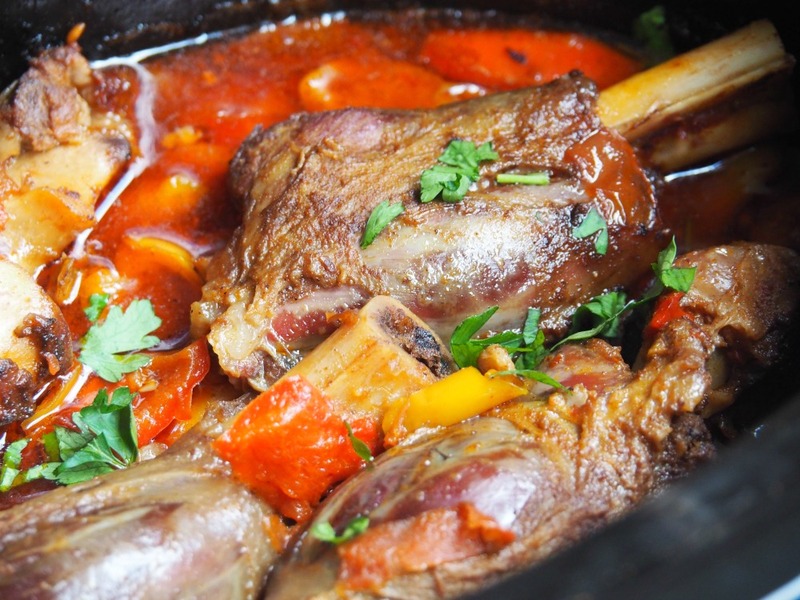 Talking of slow cooker sensations, these Slow Cooker Mexican Lamb Shanks totally hit the spot. They’re more smoky than spicy and marinated in the spice mix overnight and cooked in the slow cooker for 8 hours, they’re fall-apart-flavoursome! I had such a jolly time with my Auntie Sandra when I was in the motherland so naturally when I came home, I had to recreate/revamp one of my all time favourite recipes of hers. 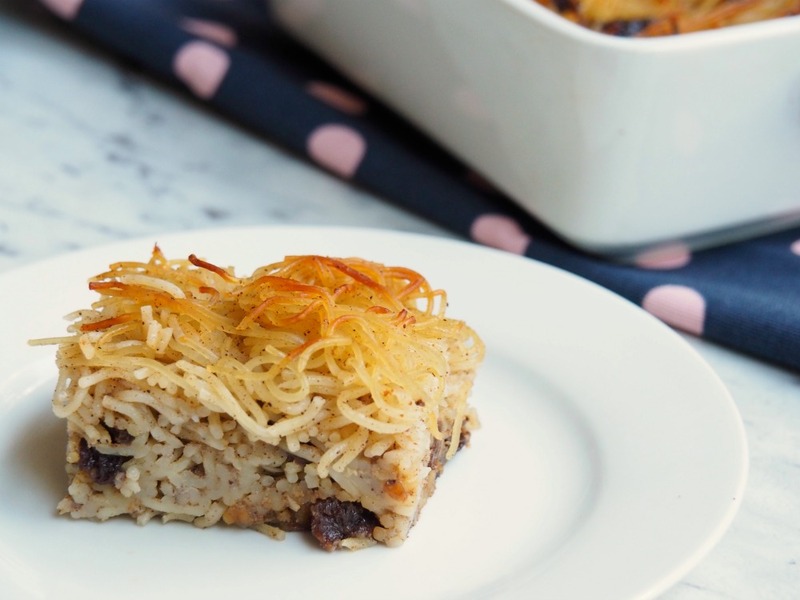 If you haven’t had it before, you might think this Lokshen (AKA Noodle) Pudding might be a bit unusual but truthfully, the only unusual thing about it is that it is unusually delicious. Just a bite takes me right back to my auntie’s Friday night dinners. I love a good food memory almost as much as I love a family recipe, that is SO much! My obsession with Mars Bars knows no bounds. Remember those Mars Bar Brownies and those Mars Bar Cookies? 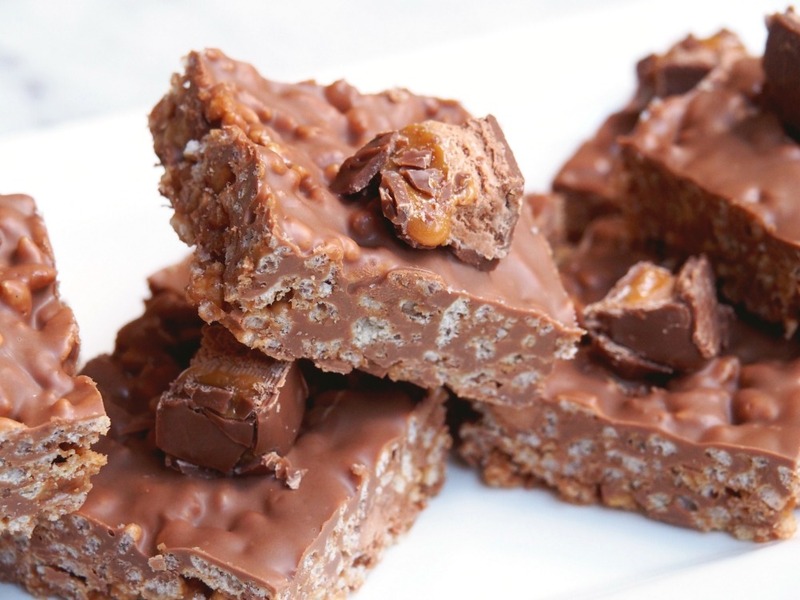 Well now this, my oldest and most loved Mars Bar recipe- the Mars Bar Slice – finally gets a makeover. It’s a homage to my love of Mars Bars and my love for my hairdresser, Heather, who not only cuts my hair but also shared this recipe. This is one slice you just gotta cut! I totally get into the spirit of Christmas in July. Every year the Christmas tree has a second coming in the seventh month and although I draw the line at wearing our Christmas jumpers (even though it really is the weather for it,) I can totally get on board with some Christmas baking. 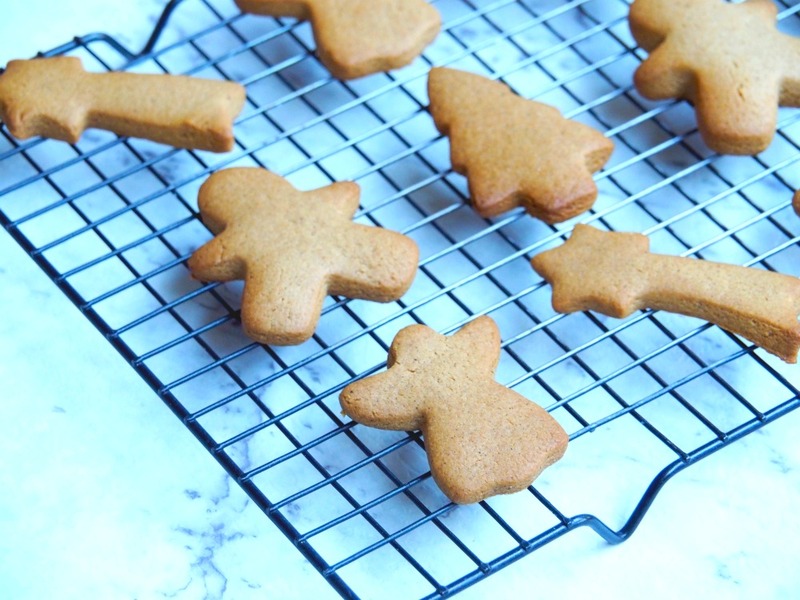 These Melt and Mix Gingerbread were all kinds of delicious, just lightly spiced and not overpoweringly gingery. Best of all, it’s a melt and mix recipe because really, who has time to wait for butter to soften? Not me! 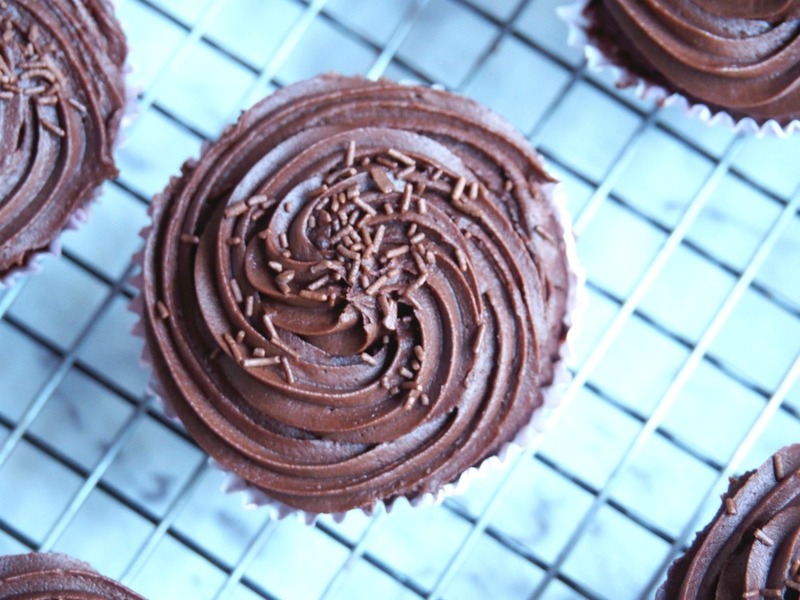 I think one bowl recipes are wonderful and these One Bowl Chocolate Cupcakes also got a makeover this month with new pics and a Thermomix conversion. They’re quick, easy and full of yum! 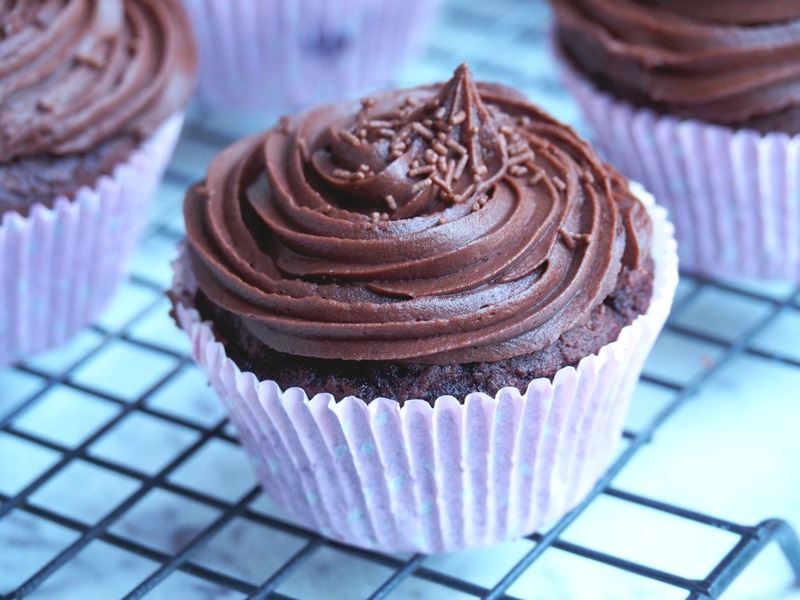 These cupcakes taste delicious as they come or dusted with a bit of icing sugar but I want to practice my cupcake decorating (and let’s face it, I need all the practice I can get,) so I whip up a bowl of this one bowl Chocolate Buttercream which is so easy and so yummy, it’s ridiculous. In fact, I think I spend more time licking the beaters that I do decorating the cupcakes! So there you go, ten old recipes that have been made new again! What’s the weather like where you are? 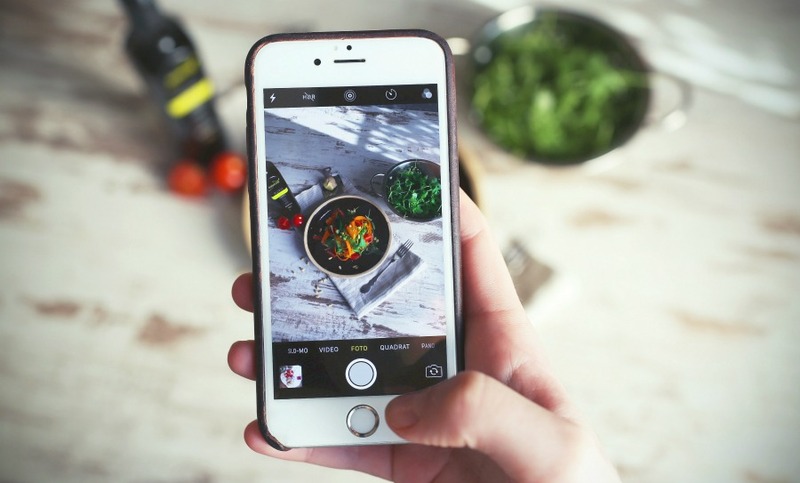 What’s been cooking in your kitchen? Tell me all the things!